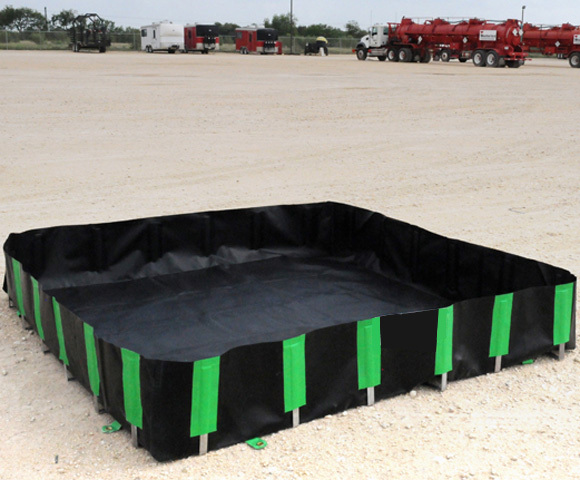 The Spill Containment Berm is a versatile secondary containment device designed to fit around drums, vehicles, machinery, and tanks to successfully contain liquids or spills that may occur. While they are available in several different styles, each unit is equipped with a ground liner and surrounding walls to provide containment underneath and around storage vessels. 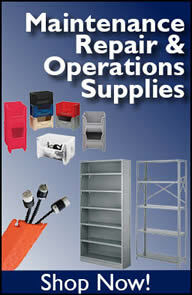 Aluminum Angle Wall Models are a favorite for storage items that require long-term stationary storage. Offering an increased containment capacity (typical wall height of 1 ft.), these units are able to effectively contain large amounts of liquid in a single model. This is perfect for large tanks or liquid storage units. Offering a lower standard wall height (typically around 4"), the Foam Wall Berms are often chosen for areas that require a drive-through ability on and off of the unit. Foam wall models are designed to allow vehicles or machinery to drive directly over the entrance walls of berm. As they move over the walls, the foam wall will indent then pop back up, making entering and exiting the berm a fast and easy process. The containment unit is frequently used for emergency spill response, decontamination, and secondary containment applications. 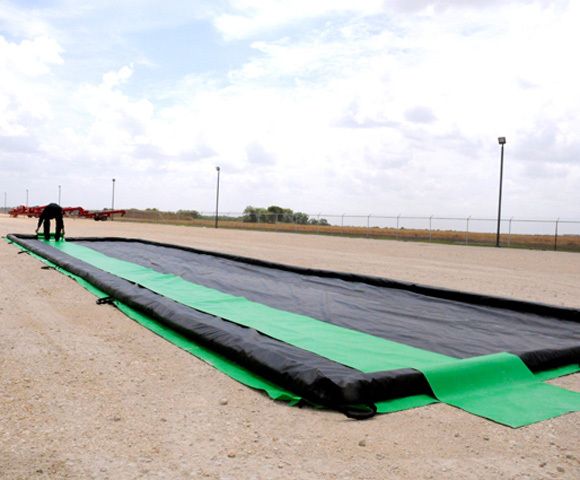 In each setting, this berm functions as a barrier to prevent a spill or leak from spreading or contaminating another area. Drive through barriers, in particular, are a type of containment product that allows for contaminated vehicles to be cleaned without polluting surrounding soil or groundwater. In erosion control applications, these barriers direct water from areas high at risk for erosion, such as bridges, shorelines, areas with high rainfall, low clay content, or steep inclines.